Mood: Pissy to partly pissy. I'm angry there are people actually celebrating that it's 97 degrees today with nasty humidity: people who are biking, running, moving in any fashion, not shut away in their homes with air conditioning blasting. And it's blindingly sunny. When I'm pissy I hate the sun. Quit your smiling, people! If you don't I'm going to steal your Christmas. I hope all your shoes stick to your now-partially-liquid asphalt driveways. You people who are out and about provoke my scorn. Have you lost your minds, riding in your cars with the windows open instead of hermetically sealing yourself in air-conditioned comfort? What is wrong with you? Don't you know your careless behavior slaps the face of whoever discovered freon? I was out earlier today, risking my life hunting and gathering bagels for the family's breakfast, braving the 75 degree heat. That was about 20 degrees ago and I already had the windows up and the A/C blasting. Now I'm holed up, blinds pulled, a/c rumbling, cursing just about everything and everyone, but especially the fact at my son's eighth grade graduation ceremony I damaged something in the frontal area of my knee, beneath the patella – something by that one vertical tendon-thing. AND IT HURTS LIKE HELL! And it's hot outside! And I lost my iPhone last week! And I think it may have been accidentally (or maliciously) thrown away! Okay, let's do this thang. Maybe it'll get my mind off the almost overwhelming urge to rip the heads off squirrels with my bare teeth. Former neurosurgeon, Jennifer White, is descending quickly into dementia. During her long career she was an esteemed neurosurgeon, specializing in hands: the repair and amputation thereof. A couple houses down the street, her friend of decades, Amanda, is found murdered, her fingers removed with surgical precision, though not completely "finished" as a professional would have done. Could Jennifer have committed such a heinous act toward her best friend? If so, why? 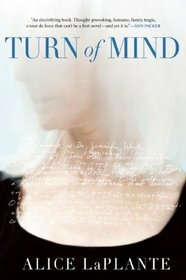 The story is told both in current times and flashbacks, as the story of Jennifer's life is revealed, layer by layer. Meanwhile, the investigation into Amanda's death is ongoing. Jennifer is the prime suspect but too far gone to be reliable. Only one policewoman, Inspector Luptin, sticks with the case - a policewoman who's also lost a loved one to Alzheimer's. The book's hard to put down, a "stay up late" read. 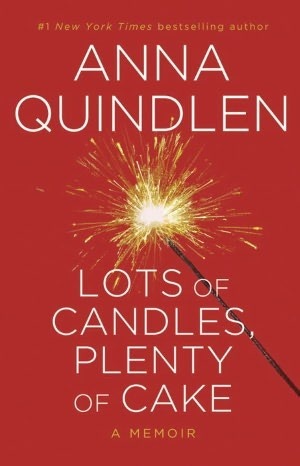 I'm fascinated by novels that delve deeply into the psyche of those who aren't "quite right." Normal people bore me no end. And I love flashbacks for the bits of revelation they give, things you can refer to after the book's done to see how the author pulled everything off. If it's written well, that is. A good writer always leaves a few breadcrumbs. My only complaint is a couple threads are never resolved but some of that is a factor of the disease itself and Jennifer's inability to wrap things up neatly. But it's a fast-paced book kept taut all the way through. The ending may or may not feel satisfying but the overall a great read. This is a girlfriend read for the more mature set. I'm younger than Quindlen (she proclaims with glee) but can still get where she's at in life, especially with my oldest perched to leave the nest. I'm not quite halfway through yet but far enough to say Anna Quindlen speaks in a friendly, open and honest voice. If she's deceiving the reader I certainly can't detect it. The book feels like you're sitting with the author on her front porch, rocking on wicker rockers side by side, the ubiquitous cold tea at your elbow. Very comfortable, very laid-back. Lots here about marriage of a long duration, how it isn't supposed to be happy, happy, joy, joy and why that concept is so unreal. Her husband irritates her, and she irritates her husband. It's very real. Occasionally, she thinks the completely human "What if…" questions, what if I'd chosen a different path, etc. But, all things being equal, she's a happy woman. Not annoyingly so or I wouldn't still be reading this book. Happy people are unbearable, really. Can't find a dark cloud for your silver lining? SEE ME. 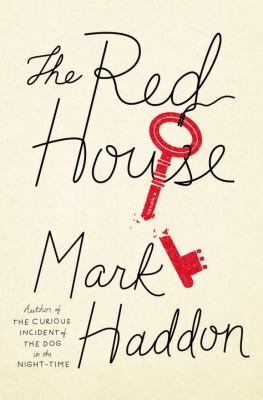 Any new book from Mark Haddon is reason for much rejoicing. Yes, even from this prickly old librarian. About halfway through The Red House and it's almost as unputdownable as Turn of Mind, so you may imagine this pleases me as well as anything ever does. Not counting attending a Sebastian Barry reading, that is. Or anything involving Sebastian Barry. Basic story: the matriarch of a family dies. One of the children – Angela, a mushy, middle-aged hausfrau, lived near her and did all the work taking care of her mother until her death. Meanwhile, her brother Richard – a disgustingly well to do doctor with a young trophy wife – doesn't show up 'til the funeral. And the mother had only asked to see Richard during her illness, natch. Angela carries a bit of a grudge. Who could blame her? To try and make amends, Richard and his family offer to pay the way for a vacation in Wales with Angela and her family. Angela accepts, with reservations. Turns out the area of Wales is a gorgeous backdrop as this family makes an attempt to let bygones be bygones. With occasionally very funny results. "She disgusted him now, the size and sag of her, the veins in her calves, almost a grandmother. He dreamt of her dying unexpectedly, rediscovering all those freedoms he'd lost twenty years ago. Then he had the same dream five minutes later and he remembered what poor use he'd made of those freedoms first time round … All those other lives. You never did get to live them." "Richard had remarried six months ago, acquiring a stepdaughter into the bargain. Angela hadn't gone to the wedding. Edinburgh was a long way, it was term time and they'd never felt like brother and sister, just two people who spoke briefly on the phone every few weeks or so to manage the stages of their mother's decline. She'd met Louisa and Melissa [daughter] for the first time at the funeral. They looked as if they had been purchased from an exclusive catalog at some exorbitant price, flawless skin and matching black leather boots." You see the set up. Not only are these siblings at odds but their children are so radically different. Melissa, Louisa's daughter, is high-maintenance, high fashion and hot. Alex, Daisy and Benjy, on the other hand, are – in order – athletic and hot for Melissa, going through a religious phase and very conservative in dress and manner, and intelligent in that acting very strangely, as if he's been dropped on his head as a child, way. And it works… Does it ever work. Very, very funny. So, that's not all there is but I need to take my daughter shopping so I'm cutting this off. It's a miracle I got this much in (that's what she said).